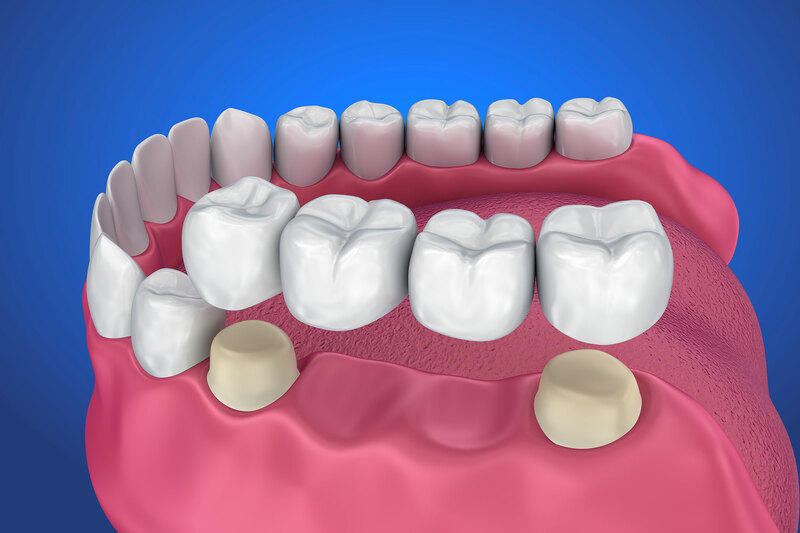 How Do Dental Crowns Work? Dental crowns entirely cover up a damaged tooth. Dental crowns significantly strengthen the damaged tooth while improving its appearance and shape. Our porcelain dental crowns will match the color of your teeth. How do Dental Bridges Work? Dental Bridges are recommended if you’re missing one or several teeth. Naturally, gaps left by missing teeth will cause the surrounding teeth to move where they shouldn’t be. This can result in a poor bite and other more severe problems. Our dental bridges are made of porcelain to perfectly match your natural teeth!